Time For A New Job? Make Sure You Know What You Want In An Employer. Outgrown your position? Need something more challenging? Don’t enjoy working for your boss anymore? Whatever the reason, sometimes you need to move on from your current job. Make sure you don’t get back into the same situation by taking time to think about why you want to leave and what you want to go towards. This can help you plan your job search for the best possible results. An important part of that planning is being able to list what you want in an employer. Many individuals, employers included, think only about what a prospective employee can offer a company and what kind of employee they will be. But knowing what you want from a prospective employer is just as important to laying the foundation for a positive work experience. Will they help me to grow as a professional? Employees with drive want to work for companies that invest in them. So, career development, skills training, and further education have become major considerations for job seekers. Research shows that the potential for personal and professional growth is a huge motivating factor for candidates, even more than financial reward. How far do you want to grow, personally and professionally? Can your new employer take you there? Do they want to? Will they be a strong mentor? Candidates who pride themselves on doing the best job they can often look to their employers as leaders who can act as an example or a model for the ideal behaviour and work ethic. Strong leaders guide and inspire their employees to be the best version of themselves. Job seekers who know the direction they want to go in will often seek out leaders that can show them how best to get there. This extends to how leaders conduct themselves outside of the office as well. Are they ethical? Do they contribute to society in a meaningful way? Are they good examples of how to live a productive life? Are these factors important to you? Do they believe in a work/life balance? Even individuals who love what they do have come to realise that you can’t be all about work. Research shows that employees that achieve a balance between the time they spend working and the time they spend with family and friends are not only happier but more productive overall. To maximise your chance of happiness, you should look for an employer who encourages you to have a meaningful life outside the office. Will they acknowledge my contribution? Reward and recognition are important factors in job satisfaction. Many job seekers cite lack of recognition for a job well done as the reason for leaving their previous employers. An employer that is willing to acknowledge good work and creative thinking encourages their employees to feel good about their contributions and do more. This reward can be monetary but research shows that reward in the form of benefits (such as a day off or a voucher for a favourite activity) and public recognition (within and outside the company) are often more highly valued that money. What kind of recognition would work for you and will your prospective employer offer it? 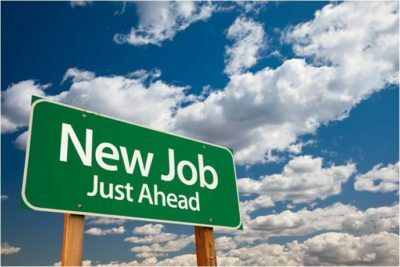 If you are clear about what you are looking for in a new employer then you are more likely to succeed in your job hunt and in your new position. In order to find companies that offer the above, let us guide you in your search.